Like most parents, I think each of my children is special. My toddler can sense when I am having a rough time and gives me a hug and kiss because he knows it will make me smile. My other son developed an encyclopedic knowledge of Greek, Roman and Egyptian gods by the time he was 8. One daughter frequently spends her allowance on others or donates it to her favorite charity. My oldest daughter, Claire, laughs easily and bucks the trend by preferring Anna to Elsa. But she has been called “special” her entire life for other, less flattering reasons. She has a rare genetic disorder, autism and other conditions. She is significantly disabled and requires assistance to do most things. When I was thrust into parenting a child with a disability, I took the advice from doctors and other parents who suggested I describe Claire using terms like “special needs” and “differently abled.” I was told to say that she had “developmental delays” rather than disabilities, and people described her as “handi-capable.” I was told to always put the person first, so she was a “child with autism” rather than an “autistic child,” even though her disability and autism diagnosis are an integral part of who she is. I wanted to do what was best for Claire, so I used these terms, even though they never sounded right to me. Some made me deeply uncomfortable. Many of Claire’s needs are not “special” at all. She needs to eat, get around, be educated, use the bathroom and be entertained. These things take extra effort for her. She has to be fed, she uses a wheelchair, she still needs her diaper changed, and going out to have fun often requires careful planning. But the needs themselves are basic and ordinary. There is nothing special about them. The terms “differently abled” and “developmental delay” also never seemed to fit Claire. “Differently abled” made me think of a superhero who could become invisible or fly. Calling Claire “delayed” made me wince, because it made her disability sound like something she would outgrow, which was not the case. Many people, when hearing she was delayed, reacted as though this were something to celebrate, asking if she would one day go to a regular school or be healthy. Nevertheless, I believed these terms to be the best ones, so I continued to use them, not wanting to offend or saddle Claire with a label she might not want. But then I began paying attention to what individuals with disabilities thought about these terms and others like them. Members of the Autistic Self Advocacy Network, for example, prefer to be called autistic rather than “person with autism” because they see autism as an integral part of who they are, just as a person is Catholic or French. Although many individuals with disabilities do feel strongly about using person-first language (and I continue to do that as a default), listening to what people with disabilities say about the issue made me realize that it’s important to consult them. Other disability advocates, such as Lawrence Carter-Long, who has cerebral palsy, and Rebecca Cokley, who has achondroplasia, the most common form of dwarfism, emphasize the importance of saying a person is disabled. Click to watch Patricia Mucia, RN, explain why parents should advocate for their child with a disability. Cokley says the term is powerful because it provides legal protections under the Americans With Disabilities Act. “Special” or “different” needs are not protected under the law, but disabilities are. She also says that parents need to advocate with their children rather than for them; this means paying attention to what their children, and people with disabilities, want rather than defaulting to terms they or their children’s providers feel more comfortable using. Cokley has written that she is proud to be a part of the disability community, which has a rich history and culture. Carter-Long, who founded the Say the Word movement, says that people who avoid the word “disabled” are not seeing the whole person and says that when parents use words other than “disabled” to describe their child, they may be making it more difficult for their child to assert their rights. He also says that the distinction between “disabled” and “person with a disability” is not important, as long as the term “disability” is part of the conversation. “A need isn’t special if other people get to take the same thing for granted,” he says, arguing that using terms like “special needs” can obscure access to having those needs met, because they can make ordinary needs seem extraordinary. He says that while the word “disability” used to be just a diagnosis, it now encompasses a community, an identity, a constituency and a shared history. 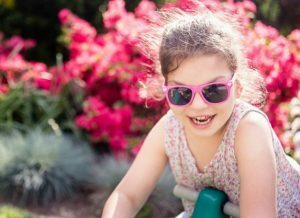 After nearly a decade of being Claire’s mom, I can finally say that my daughter is disabled, and it’s liberating. If my daughter wanted me to call her needs special, I would do so. If I met someone on the street with a disability who told me that he had a developmental delay, I would refer to him using the term he preferred. But my daughter cannot speak, so I have no way of knowing her preferences. Instead, I’m taking cues from advocates who are disabled themselves. And what I have learned is that it is not just okay but preferable in many cases to call a disability a disability rather than trying to cover it up with softer language. Jamie Davis Smith is a Washington-based mother of four. She can be reached at jdavissmith03@gmail.com.